New!! A Regional Workshop to Address Inter-linkages between Human Health and Biodiversity in the ASEAN Region was held on 5-7 November 2018 in Manila, Philippines. The workshop was part of a series of regional capacity-building workshops jointly convened by the Convention on Biological Diversity (CBD) Secretariat and WHO to address issues at the intersection of biodiversity and human health; bringing together representatives from ministries of health and those responsible for biodiversity conservation. The broad objective of the workshop was to support countries in mainstreaming critical linkages at the biodiversity-health nexus and their relevance to the Strategic Plan and its Aichi Biodiversity Targets; to support countries in mainstreaming biodiversity in public health strategies; and to incorporate public health considerations in biodiversity strategies and SDGs. 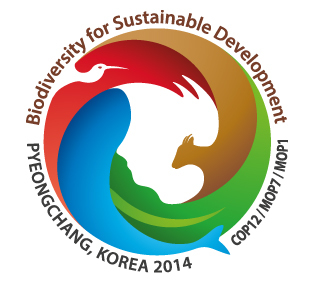 This was particularly significant in the context of the Convention on Biological Diversity-Conference of Parties (COP14), in Sharm el sheikh, Egypt (17 – 29 November 2018) which had biodiversity and health prominently in its agenda, demonstrating the political momentum in the global setting on linking biodiversity and human health. and nutrition outcomes. This facilitates community-­based enterprises that utilize traditional medicinal resources and products and streamline relevant policies related to access to resources and equitable sharing of benefits arising from its utilization (ABS). Learn more about the buchu case – a native plant to the western part of South Africa, that has been considered as sacred and used for treating ailments such as fever, back pain etc. by the San and Khoi, indigenous people of what is now South Africa. The San and Khoi indigenous people have negotiated an agreement with several companies who were using buchu for many years as a medicine or nutritional supplement without sharing the benefits of its commercial gains. Find out more about the agreement and the health products developed using buchu here. Learn more about the interlinkages between biodiversity, health and equitable livelihoods here.